The world is changing. As a new generation of consumers and employees comes into its own, companies are discovering that they need a new toolkit to succeed in an evolving marketplace. According to a recent survey, 87% of millennials base purchasing decisions on a company’s social efforts, and employers are finding that young employees have similar hopes expectations for their workplaces. There is a new expectation that businesses should have a greater duty than creation of shareholder value alone, and consumers are more savvy than ever before. In the past, Corporate Social Responsibility (CSR) programs have helped businesses address these concerns, but today’s customers and employees demand more. Would-be entrepreneurs would be wise to take note. New Hampshire hasn’t traditionally been a hotbed of do-gooder entrepreneurship, but companies like W.S. Badger and Revision Solar are leading a new crop of purpose-driven granite state businesses. Even tech-centric Alpha Loft included Aisling Organics Cosmetics, a new maker of responsible, organic cosmetics, in its 2017 AccelerateNH incubator cohort. “Social Entrepreneurship” aims to create value in the form of large-scale, transformational benefit that accrues to society at large. Oftentimes this value is created through profit-seeking companies and marketplace solutions, offering social entrepreneurs a unique role alongside philanthropic endeavors and traditional profit-centric companies. Traditional CSR programs are tacked onto profit-focused business models and tend to set off consumer “BS detectors,” so social entrepreneurs must create true purpose-driven companies – integrating social good at the core of their company mission. Purpose-driven companies can create competitive advantages that are hard to replicate. Innovative and talented employees are more willing to work for (and stay at) companies that they believe in. They are also more likely to stay engaged at those jobs. Consumers increasingly want to feel good about their purchases, and many are willing to pay a premium for that feeling. Finally, many entrepreneurs derive enormous satisfaction from tackling problems that are bigger and more interesting than chasing a giant pile of cash. One of the first steps is to choose the right legal entity. Non-profits carry restrictions and a certain level of formality, but also allow for significant tax advantages. Benefit Corporations are relatively new in New Hampshire. The Benefit Corporation form allows for-profit businesses meeting certain transparency and organizational requirements to bake social responsibility into an enterprise at the deepest levels. Low-Profit Limited Liability Companies (L3Cs) are not yet available in New Hampshire, but are LLCs structured to simplify compliance with certain IRS guidelines for companies pursuing social missions. It’s always a good idea to talk to a lawyer who knows this area when you’re starting out. You can obtain third-party verification, such as B-Corp certification, to demonstrate your commitment to your social purpose. B-Corp certification is available from a non-profit called B Lab, which seeks to evaluate all aspects of a business, including its supply chain and waste impact from consumer products. Those businesses achieving a high enough score receive certification, which can be a significant marketing advantage and provides access to a large and growing network of like-minded businesses. There are many vibrant business communities committed to solving these problems, such as New Hampshire Businesses for Social Responsibility, the Slow Money Institute, B Lab, and the New Hampshire Charitable Foundation Entrepreneur’s Fund. If you’re interested in learning more about social entrepreneurship, New Hampshire is developing a vibrant ecosystem around purpose-driven companies. Now is a great time to get started if you are in this for more than just the money. 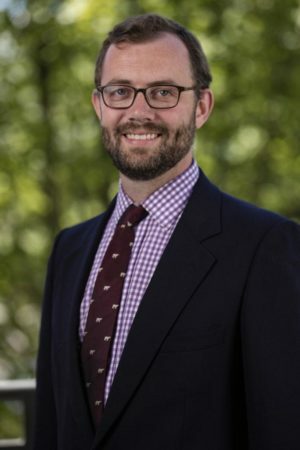 Andrew Grosvenor is an associate attorney with Merritt & Merritt, a law firm with offices in Manchester, NH and Burlington, VT. He loves working with growing businesses and advises companies at every stage from formation through exit events, including IP protection, investor relations, securities compliance, contracts, and social entrepreneurship initiatives.